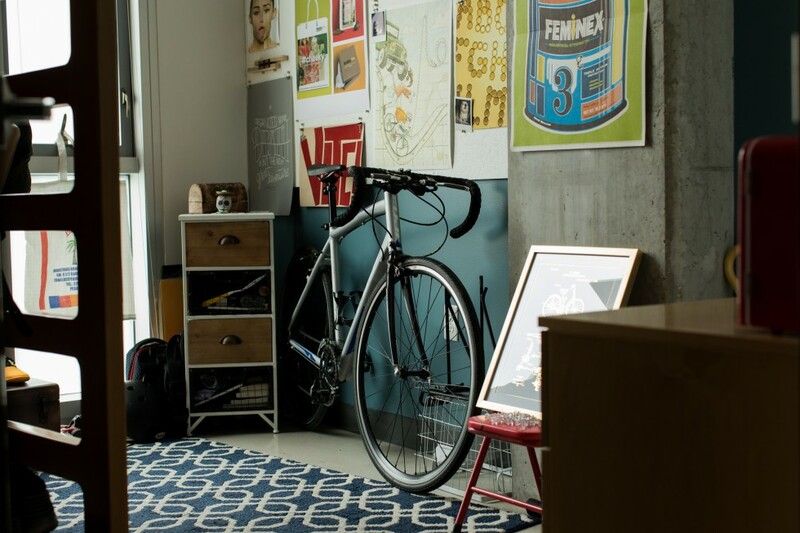 The Gateway Residence Hall marks the entrance to MICA's campus and the nearby Station North Arts & Entertainment District. In addition to being a residence hall, the Gateway also houses studio spaces, student space galleries, BBOX, and the Joseph Meyerhoff Center for Career Development. 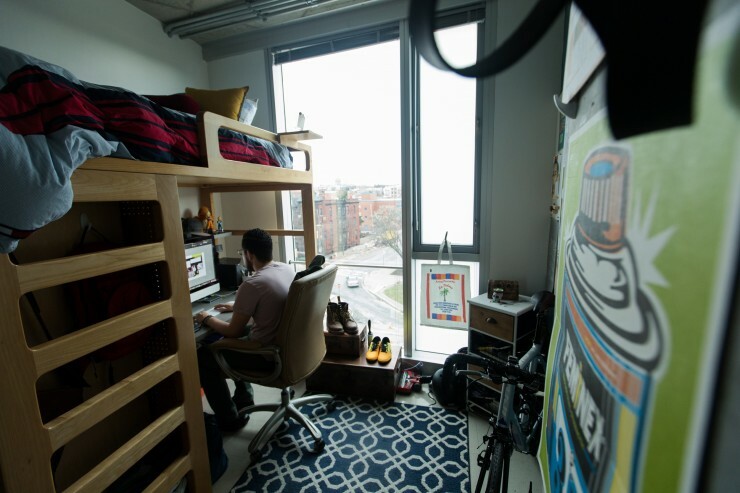 Student accommodations include three and four bedroom apartments, as well as studio spaces on the second through seventh floors. 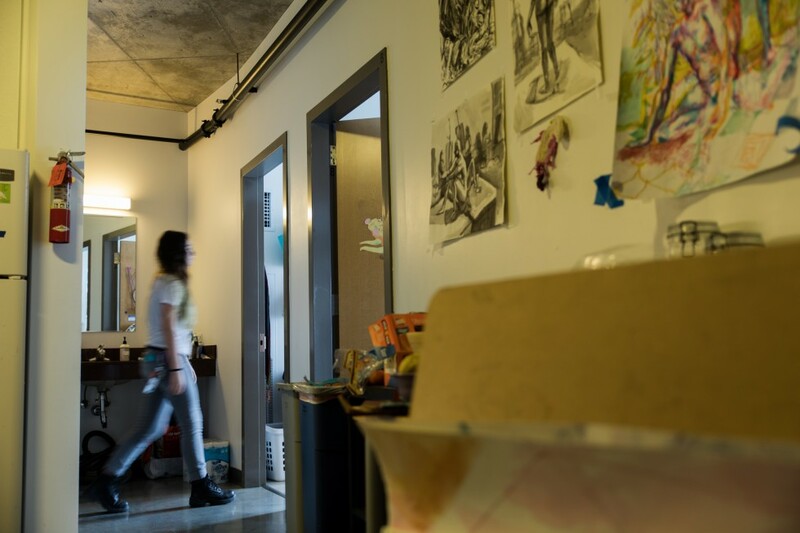 Student space galleries are on the first floor across from the BBOX—a black box theater used for a wide range of performaning arts productions, including plays and musicals. 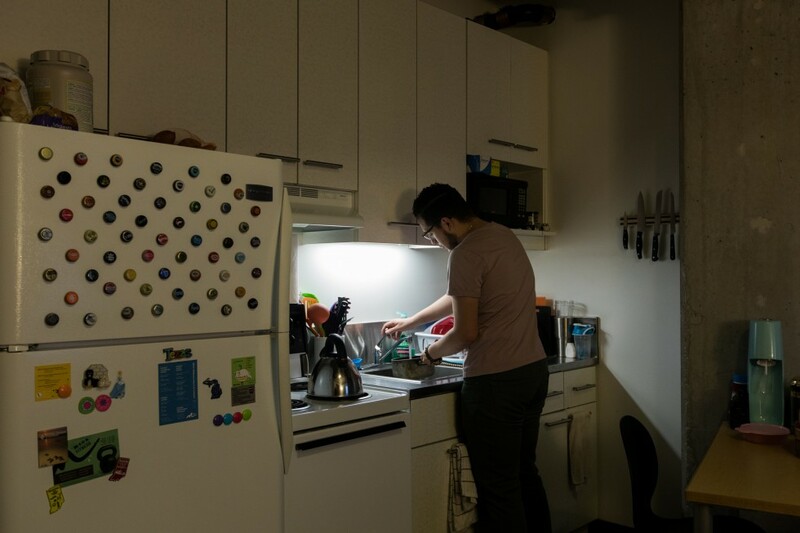 The Joseph Meyerhoff Center for Career Development, located on the second floor, is a one-stop resource for students preparing to transition into the professional world of art and design, alumni making a transition in their careers, and employers and institutions that would like to connect with MICA students and alumni. The third floor contains the open-air Rett Nearburg ’07 Courtyard, where students can meet up, relax or hold events. The courtyard is named for Rett Nearburg, a MICA student who counted his time at the College among his greatest life experiences even as he fought to overcome illness, in recognition of his life and his parents, Dana Nearburg and longtime trustee Charles Nearburg. 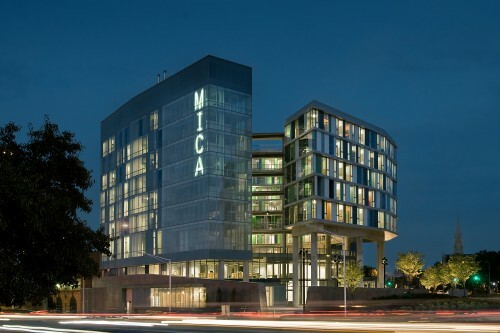 The Maryland Chapter of American Institute of Architects presented MICA with a 2009 Honor Award for excellence in design for the Gateway.